There are advances happening every day with 3D printing, such as medical solutions, shoes and other apparel, houses and even food. 3D Printing has quickly changed our way of living with its unexpected uses. 3D printers are used to make a variety of objects, and just like any other technology, 3D printers continue to evolve. In the future, we will see advanced capabilities and innovation. 3D printers come in handy for printing things you can use around the house and at work. With a 3D printer, you can print things such as combs, utensils, wallets, smartphone cases and more that you use on a daily basis. There are advances happening every day with 3D printing, such as medical solutions, shoes and other apparel, houses and even food. 3D Printing has quickly changed our way of living with its unexpected uses. A 3D printer is used in many areas of expertise for producing various products, while replacing the traditional methods of manufacturing. There is a global shortage of organs available for lifesaving transplants. The scarcity of transplant tissues is estimated to be the leading cause of death in America. Around 900,000 deaths a year, or one-third of all deaths in the U.S. can be prevented or delayed by organ or engineered tissue transplants. Medical researchers have been reproducing human cells in laboratories by hand creating blood vessels, skin tissue and other living body parts. But, engineering full organs, with their complicated cell structures, is much more difficult. Because of their precise process, 3D printers can reproduce the vascular systems required to make viable organs. Scientists are already using the printers to print small strips of organ tissue. Printing complete human organs for surgical transplants is still years away; but the technology is quickly advancing. There's optimism that 3D printers could someday fabricate the needed organs for transplants. Americans are living longer; and our organs are failing more than when our life span was shorter. Medical experts grew 3D-printed skin for burn victims, airway splints for infants, facial reconstruction parts for cancer patients, orthopedic implants for seniors. 3D technology has printed more than 60 million customized hearing-aid shells and ear molds. Dentists are producing thousands of dental crowns and bridges from digital scans of teeth, replacing the traditional wax modelling methods used for centuries. Jaw surgery and knee replacement operations are routinely carried out using surgical guides printed on the machines. Zeus is the world’s first all-in-one 3D printer that can print 3D objects, copy 3D objects, scan 3D objects, and fax 3D objects to other printers. This printer can mesh, auto-level, slice and auto-calibrate. An item can be scanned in Japan and faxed to the U.S. The printer in the U.S. would print out the same item exactly like the item in Japan. This would save shipping costs and time. In Star Trek, a replicator was used to synthesize meals on demand. 3D food printing has many potential benefits. Food printing can substitute ingredients such as proteins from algae, beet leaves, or insects into appetizing meals. 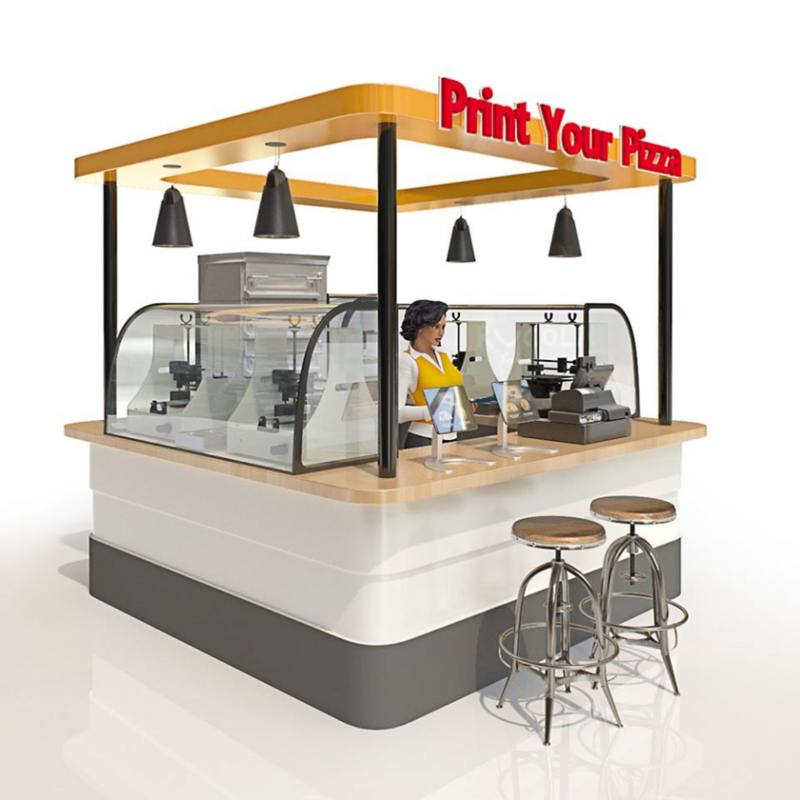 For those, who need customized meals, a 3D printer can accommodate individual needs and preferences. For some senior patients, their food needs to be soft, so doctors use puree to feed these patients. Food printers very good at turning puree into nutritious meals. Such meals improve the quality of countless lives. 3D printing can produce foods that look more like traditional food, such as pizza, despite being softer and more palatable than they look. Foodini and Beehex are making inroads into the 3D printed food market. Beehex is now serving pizzas in restaurants in New York and Foodini has found its way into the hands of top chefs and catering companies that need to replicate specific shapes and textures. A company in Finland is working on vending machines that will offer hot, 3D printed food. With 3D printing technology, it is now possible to create items with complex structures, which are required to produce sounds, which previously could not be created using conventional techniques. Devices have been created that produce terahertz frequencies, which no device has been able to replicate in that range. These terahertz 3D printed devices can improve technologies in defense, biomedicine, and communication. 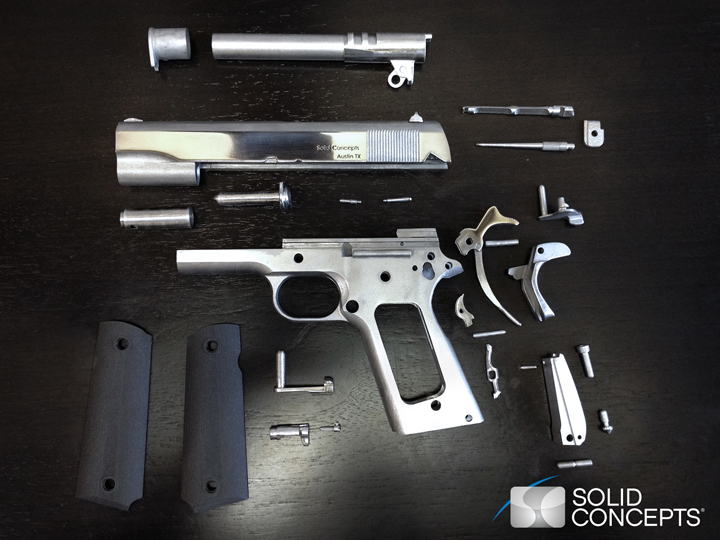 It seems impossible but anyone can just plug in a 3D machine and print out a firearm. It's such a serious threat that the U.S. State Department is trying to figure out how to ban them. Gunsmithing was typically an artisan's craft since it takes a pretty high skill level to be able to weld metal and work wood, but with the advent of 3D printing, it seems almost anyone could make and use a working gun. By having a printer with specific chemicals and reagents as the "ink," a 3D printer could perform a series of reactions in order to build pharmaceuticals or molecules in a lab. While the formation of such a printer is still in its very earliest stages, Ibuprofen and some other basic molecules have been printed. The implications of such a system are huge with global access to drugs where they are hard to obtain. The biggest obstacle, which keeps people from trying their hand at 3D printing is the anxiety about learning an entirely new kind of software. 3D printing software is not that difficult, because computer-aided design (CAD) programs enable people to make and edit 3-dimensional objects on a computer. 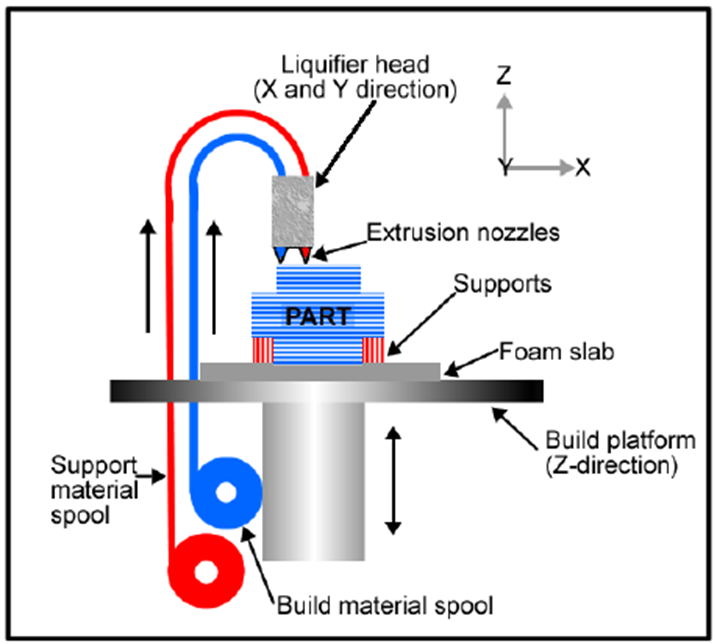 There are several different methods of 3D printing. One of them is fused deposition modeling (FDM), which is comparable to a glue gun with hot material extruding through a print head. FDM uses two kinds of materials—ABS, which is a petroleum-based plastic, and PLA. ABS is very strong, and is the same material Lego uses to make their blocks. PLA is a non-toxic bioplastic that is derived from corn, which gives off a sweet smell when printing. 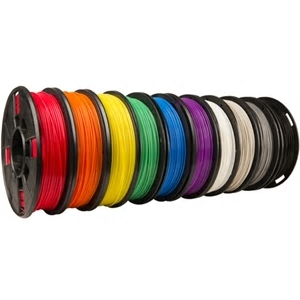 3D printing filaments come in a wide variety of colors, including some that even match Pantone colors. MakerBot announced some new and exciting printing materials, including maple, iron, bronze and limestone. Featuring actual components of these various materials combined with MakerBot PLA Filament, these composite filaments let you print realistic products. The MakerBot PLA Composite Filaments will have the same material properties as the actual material. If your company uses 3D printing for anything confidential or sensitive, soundproof the printing area. Scientists have figured out that by recording the whirrs of a 3D printer, they can reverse-engineer the design of whatever the printer was creating. Every printer makes a specific set of sounds as it prints. A series of algorithms created by some scientists allow those sounds to be converted into the shapes of what is printed. A hacker could use a regular smartphone’s sound recording function, leave it recording until the printer is finished, and then run the sounds through a program. So, what can we expect in the future? On the material side, we will see manufacturers putting more importance into materials development and the delivery of those materials. Expect an increase in availability of more affordable materials for metal manufacturing in industries like aerospace and automotive. There’ll be more usage of 3D-printed parts for tooling, jigs, and fixtures to simplify the manufacturing process. In the past, those things would customarily be made through a subtractive process from a block of metal. Product designers will turn to a cloud-based CAD system for rapid prototyping. We can envision a new future that will be changed for the better because of 3D printing.